Ammo isn’t supposed to click, but to bang! So, considering your best options for ammo storage is the best thing you can do. There are multiple factors that contribute to storing ammo in proper conditions and some of them are pricey while others are easy to do yourself. What’s truly important is to set your priorities and think of what ammo you need, why and for how long. Among the reasons why people want to store their ammo are the possibility of price increase and the likelihood of supplies becoming scarce. As it follows, you’ll find a few options for ammo storing, as well as some guidelines that will help you keep your ammo in optimal conditions for decades. Why would you want to store ammo? Ammo isn’t exactly among the inexpensive things you can buy at the moment, but no one can actually say they have problems purchasing it. The question is what if the price sky-rockets overnight or what if something happens that will make you need ammo? There are situations when ammo can be used for its original purposes and some less probable cases when ammo can be used as a barter item. The truth is you never know what could happen and it’s best to be prepared even if you’re just a simple high volume shooter. If you’re not sure whether to store ammo or not, read further to find out what it could be good for! Price. Buying guns, ammunition, and all the needed accessories isn’t a cheap hobby. Most of the survivalists or the hunters who own guns are looking for best deals for ammo, ammo cans, ammo storage cabinet, and any other ammo storage containers and so on. Unless you are filthy rich and you can afford all the ammo you want, it would be best to buy and store a few extras boxes of rounds once in a while. Low supplies. Regardless of your choice in caliber and how much you think about the future, you should consider the possibility of supplies becoming scarce. 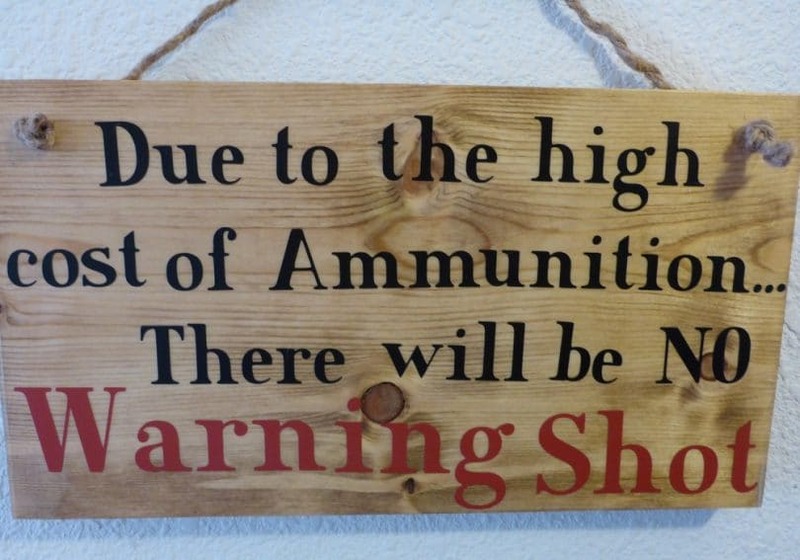 You never know what could happen or if ammunition will be banned or not. When you have plenty of ammunition safely stored at home, nothing that changes will affect you. Bartering item. Another less probable situation includes ammo becoming a bartering item. When money will have no value, basic things like coffee, food, clean water, ammunition and maybe gas will count. Exchanging a few rounds for chocolate might sound better when you crave for chocolate and don’t have any. Hunting. When hunting becomes your full time hobby and you’re away at your cabin all summer, you’ll need more ammo than you can carry. So, you can be prepared to pursue your passion if you have a stash of ammo nearby. Especially if you keep your ammo in a cabin in the mountains, you’ll need to store it away from environmental damage. Defense. Home and self-defense are one of the reasons that determine most people to stock up on ammunition. As the saying goes, better be safe than sorry. Extra ammo isn’t a waste of resources unless it is not kept in proper conditions and it ends up deteriorating. Corrosion is the number one enemy of ammo. What happens in case of improper storage? Before going deep into details about storing ammo, you should know what actually happens when you store it improperly over a longer period of time. Among the bad things that ammo can experience is the loss of sensitivity in primers, over time deterioration of charges, weakened cartridges that can even rupture when fired and corrosion. The latter is very dangerous because it can alter the characteristics of the ammunition, as well as its size, thus leading to unpleasant surprises in case of fire. In other words, it can become useless, give up on you when you most need it and cause problems when fired. The appearance of rust or corrosion on full metal jacket bullets is a sign of deterioration. Also, you should keep an eye on the shell casings because they can become discolored and rusty as well. The primer pocket or the primer itself is also prone to corrosion, so remember to check those too before you decide to use the ammo. Overall, ammunition has a lifespan of 50 to 60 years if it is stored in proper conditions and it’s not exposed to any factor that could alter it in any way. You’ll see that humidity and high temperatures are risky when they come in contact with ammo. How to properly store ammo? Luckily, there are many people out there who know a lot about ammunition and its composition. 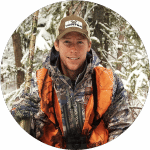 They share their knowledge, helping any person who thinks of storing ammo long term. The principles of ammo storing aren’t difficult, but you have to pay attention to every factor that contributes to ammo deterioration. 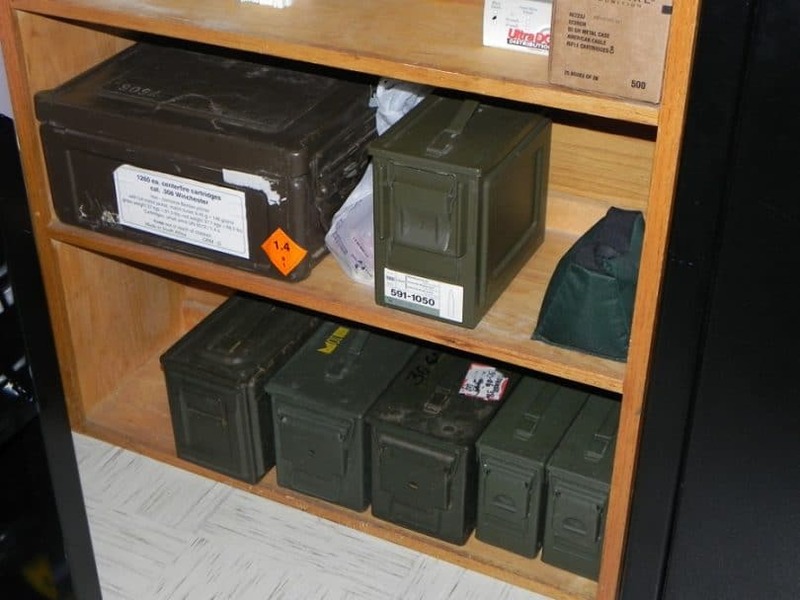 In addition, there’s a large variety of ammo storage cabinet and ammo storage containers that keep your ammo away from everything that could cause corrosion or alter the chemical composition of the powder. Keep ammo away from any source of humidity. This is the number one step that anyone who wants to store ammo should take. The environment where you actually put ammunition in boxes to store them should be humidity free as well. In this regard, you can use a dehumidifier if you live in a very humid area. Besides all the other precaution methods, this is also important because it can increase humidity in the ammo cans before you seal them. The storage area of your ammunition can or cannot be equipped with a dehumidifying device, but when it comes to the actual ammo, this step is not optional. 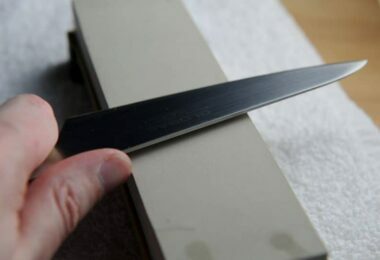 In order to keep humidity away from the bullets, you can use silica gel desiccants that are meant to absorb the humidity from the can, cabinet and any other container you might use. These are tiny packages can absorb 40 percent of their weight in moisture. Every 12 to 24 months, you need to perform a humidity check in the ammo cans and replace the packs with silica gel. Silica gel desiccants come in shoe boxes and other items alike, but you should know that you can’t reuse all of those. They might prevent condensation, as well as rust, mildew, corrosion and spoilage, but not after they’ve been doing that for an undetermined period of time before you find them. So, the solution for this would be to purchase intact silica gel desiccants or, if you own any that are reusable, then use the oven method. The oven method for silica gel desiccants consists in putting the packets inside the oven for 4 hours at 140 degrees Fahrenheit. The point of this action is to evaporate the water contained in the packs. Keep in mind that not every silica gel desiccant pack is reusable, so don’t forget to check that before use. If you throw in a few packs and you expect moisture to stay away, you might have a pretty unpleasant reaction when you open the can for a checkup. Kitty litter and stockings is an alternative used by gun enthusiasts. They believe that kitty litter can act the same as silica gel desiccants do, so they replace them with it. The point of using stockings or other nylon socks for women is because they have multiple tiny holes that allow moisture to get in. This method is also effective, but not among the ones recommended by professionals. Keep your ammo away from heat. Now that humidity and moisture shouldn’t be issues anymore, you should focus on temperatures. Heat is the enemy of ammo and it’s much worse than cold is. The breakdown begins at around 150 degrees Fahrenheit in the case of regular ammunition and that might sound extreme to you, but when you think about it, this kind of exposure is not really impossible. Putting ammo in the back of a trunk and driving all day during a hot, sunny day will definitely have an unwanted result. The average shooter should be aware that the chemical composition of a bullet can be affected by high temperatures and other weather conditions. We’re talking chemistry here, so there’s no way the case of the bullet will show any sign. The only way you’ll know there’s been a bad chemical reaction is when you fire a bullet and it goes out weak and ineffective. When it comes to cold temperatures, you shouldn’t be too worried about the impact on your ammo. What could involve cold and affect ammo would be temperature fluctuations. Storing ammo for 50 to 60 years might prove to be difficult if you have to move it around or if you keep it in a room where the temperature goes up and drops every season. Just as you control humidity around your ammunition, you should also control temperature. This factor is highly inconvenient money-wise because you might have to control the temperature of your storage room with an air conditioner during the summer and a radiator during the winter. Again, this is not something that affects all the average shooters. Rotate your ammunition periodically. This step is reliable and effective only if you are an organized person. For you to rotate your ammunition periodically, you should label every ammo can with the number of the bullets, their caliber and manufacturing date or purchase date. It goes without saying that you should use the oldest ammunition first. Labeling the ammo containers that you own is crucial because otherwise you’ll have to open them over and over again, thus allowing humidity to go in and breaking the seal without a really good reason. Treat your ammo like it is food. You’ll always eat the food that expires soon, not the food that is still good for 2 more years. Use the vacuum sealer to protect your bullets. 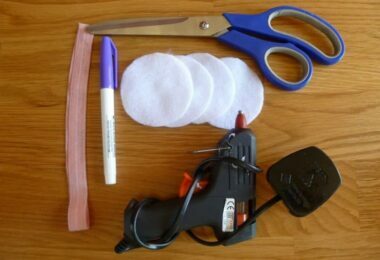 The vacuum sealer extracts the air from a special bag meant for storing things. Thus, it keeps your bullets away from any source of water and a possible corrosion. This method of depositing ammo allows you to bury it underground without using any other container. However, it is considered a little too extreme by many people who have a passion for firearms. This is because it restricts your access to the ammunition, so you can’t perform periodic checks; use some without using all and so on. In addition, the vacuum sealer is not exactly the most inexpensive device for storing ammo. Perform periodic ammo checks. As already mentioned in the silica gel desiccants section, it would be fantastic to perform periodic ammo checks and replace the dehumidifying packs. Besides doing that, you can also fire a bullet or two from each box and ensure they are still functional. If you don’t want to waste bullets, then you can use a device that measures the humidity levels from the ammo storage cabinet. Check them by looking for any sign of deterioration. This process requires patience, dedication and for you to be willing to spend money and time on storing ammo properly for a few decades. What do I need for storing ammo? You can store ammunition in the original box, in special ammunition cans, cabinets and other types of containers. 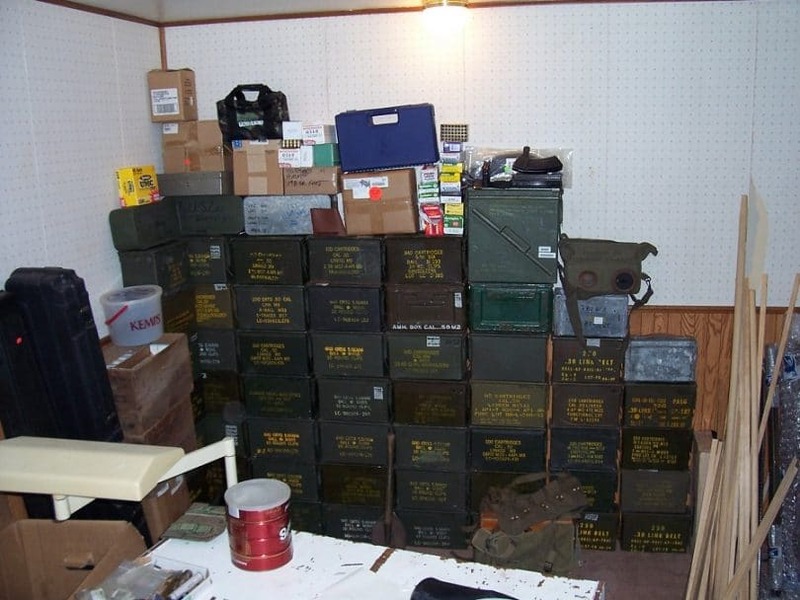 Some think that storing ammunition in cardboard boxes is not a good idea because cardboard retains humidity. However, if you take all the other guideless into consideration, then a little cardboard won’t do any damage. Before you put the bullets in the special containers of your choice, you can store them in zip-lock bags. They might make counting difficult, but not if you’re organized enough and you label everything. As it follows, you’ll see some examples of cans and cabinets that are great for ammunition storage. MTM Forest Green 50 Caliber Ammo Storage Can – made in USA, this plastic can keep your ammo dry and away from water. It’s comfortable to carry and it has a capacity of 30 pounds. It is ideal for keeping ammo safe and moving it whenever necessary because it’s made of plastic and properly sealed. It’s not pricey at all and it comes in different colors too. MTM Survivor Dry Box with O-Ring Seal – this ammo box is made for those of you who want to store lots of ammo in one place. Available in red and forest green, it has a capacity of 9.75 inches x 7.75 inches x 4.75 inches. Ideal for extreme situations, it has a built-in compass and a signaling mirror. Not for home storage, but more for carrying it around for various purposes, this can is also waterproof. It offers an excellent quality-price ratio. MTM Tactical Mag Can for 223/5.56 Magazine Storage – this item only weighs 1 pound and it is provided with ridged foam padding to prevent bumping, sliding and scratching. Its outside dimensions are 8.75 inches x 15.5 inches x 9 inches, which makes it comfortable to carry. Made in USA, this can is water resistant and has a heavy-duty latching system. According to one of this can’s users, it can hold 15 magazines, three rows and five slots. .50 Caliber Steel Ammo Can M2A1 – Among the characteristics of this storage box are airtight, watertight and lockable. It comes with 11 inches x 5.5 inches x 6.75 inches of airtight storage space. According to one user, you can safely submerge this box into water without risking any seeps. These are used canes, but which come in very good conditions. Silica Gel Desiccants – in case you want to keep your ammo dry, you should consider buying intact silica gel desiccants like these. They provide all the anti-humidity protection that you need. These are the most basic packs you can find out there. In case you want fancier ones, consider the next ones. Aluminum Silica Gel Desiccant Canister by Dry-Packs – these are basically silica gel desiccants, but with extra features. Reusable and non-toxic, these packs also come with a moisture indicator. Basically, you’ll see a color indicator that goes from orange to green. If it’s orange, then it’s moisture free. When it becomes green, it’s time to change it. 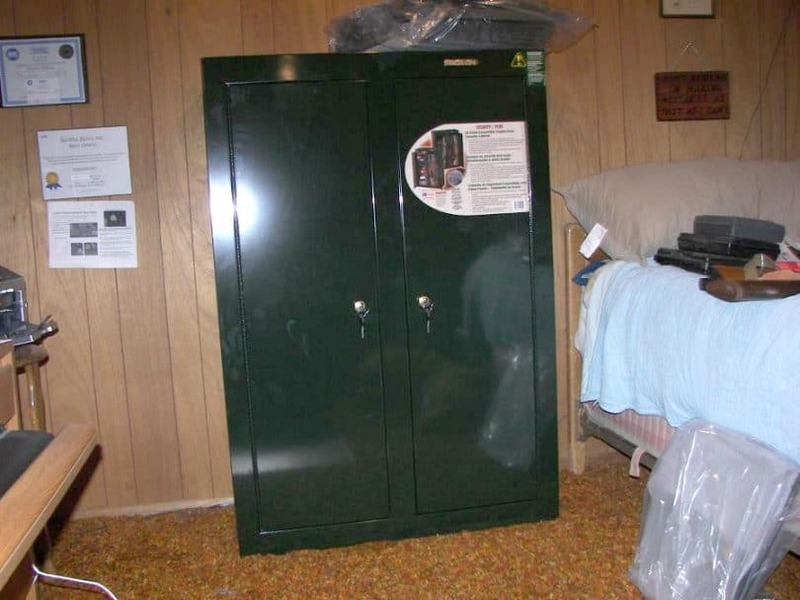 Stack-On GCB-900 Steel Pistol/Ammo Cabinet – moving on to more serious storage options, this cabinet can be locked and it is provided with two interior shelves. According to the manufacturer, its dimensions are 21 inches x 10 inches x 18 inches. You can attach it to the wall or floor thanks to its pre-drilled mounting holes. Made of steel, it comes with a 1-year warranty for safe use. American Furniture Classics 906 Five Gun Metal Storage Cabinet with Separate Pistol Compartment – this cabinet is specially conceived for storing long guns, pistols, and ammo. It is approved by the California Department of Justice and meets all the safety standards. It weighs 68 pounds and its dimensions are 59 inches x 10 inches x 14.5 inches. Compartmentalization is one of the users’ favorite features of this cabinet. Stack-On GCDB-924 10-Gun Double-Door Steel Security Cabinet – this item comes with a valuables cabinet section that is provided with 4 large foam padded removable steel shelves. These are perfect for storing ammo, as well as handguns. Not only a simple storage option, this cabinet is safe thanks to its 3 point locking system. According to the manufacturer it weighs 117 pounds and its dimensions are 55.12 inches x 13.5 inches x 32.01 inches. Stack-On E-4-MB-E-S Shooter’s Pistol and Ammunition Safe – this safe is fire resistant and it also comes with an electronic lock. With 5.7 cubic feet of storage space inside, it can be exposed to fire for 30 minutes at no less than 1400 degrees Fahrenheit. A little on the heavy side, it weighs 265 pounds. Although it can store guns as a primary feature, it is also big enough for storing ammo as well. It’s considered not too big, but not too small either. As you can see, there are various ways of storing ammunition. It really depends on your needs and your willingness to spend more or less. Some high volume shooters like to carry around lots of ammo when they are hunting and for that, there are ammo cans to meet their needs. Others, who may be survivalists, want to keep their ammo safe in the comfort of their home and grab it when they need it. If you are pretentious and want to keep your firearms separate from your ammo, you can do so by purchasing separate containers or you can focus on building the perfect cabinet. Above is a really cool video of a guy making ammo box drawer fonts. Who says the space where you store your gear can’t look other than plain, black or dark green? Storing ammo might not be the simplest thing you’ve ever done, but it can become easier in time. As soon as you familiarize yourself with all the ammunition storing principles, you can start building up quite the reserve of bullets that may serve you in the future. As seen, the reasons why anyone would like to store ammo are multiple and they all make perfect sense. Putting ammo away for later use is not something that you can do overnight, but it’s definitely a purpose that you can achieve relatively quickly. You might be overwhelmed by the sum of money needed to start this project. However, you can take it step by step and ensure all the needed comfort for your ammunition. Last but not least, you will definitely have fun doing what you like and occupying your time with this serious hobby that is entertaining at the same time! 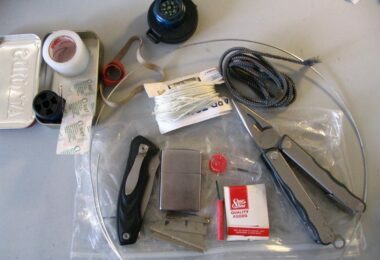 Do check out our piece on how to choose the best survival weapon for your needs.